Borders sheep farmer Sue Sharp, who farms with her husband Robert at Heriot Mill in Midlothian purchased a leg of lamb at Asda in Galashiels, Scottish Borders, having specifically sought out British produce for Easter lunch. With the label clearly stating that the lamb had been born, reared and slaughtered in the UK, Mrs Sharp was shocked when she unwrapped the leg to discover that it bore a New Zealand health stamp on the meat. 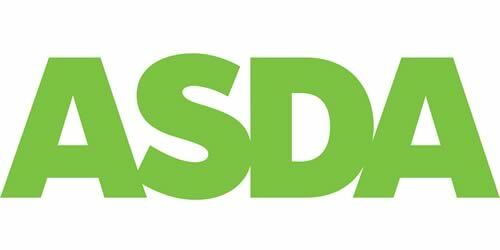 Having written to the chief executive of Asda, Mrs Sharp has since received an apology from the retailer, explaining that human error was responsible and that the store’s practices would be reviewed. NFU Scotland has been discussing the matter with Asda staff this week and will meet with Asda representatives in late April to look at the retailers’ plans for further boosting its growing sales of British and Scottish lamb later this year. NFU Scotland’s Food Chain Policy Manager John Armour said: “We appreciate that mistakes happen and Asda has held its hands up. For a Scottish sheep farmer like Mrs Sharp to have bought a product that she though would support her fellow Scottish or British farmers only to discover that it was imported is unacceptable and Asda has acknowledged that. “Asda’s planned review of practices at the Galashiels store is a sensible step and it would be prudent for guidance to be re-issued to its suppliers and all Asda stores across the country to avoid fresh meat being incorrectly labelled in the future. “Scottish shoppers who want to support Scottish farmers need to be able to trust the labels used in every supermarket. Thankfully incidents of this kind are rare but the vigilance of Mrs Sharp has provided an excellent reminder to all retailers of the need for best practice and accurate labelling at all times. If it says Scottish or British on the label, it must be Scottish or British in the packet. “Sheep farmers like Mrs Sharp and her husband are working flat out in lambing sheds and lambing fields at this time to produce tasty Scotch lamb for market later in the year.